But wait a minute. More than 270,000 pedestrians are killed by vehicles each year, while well over a million are injured. That means more than a thousand are killed, and perhaps three or four thousand injured, every day. Of the thousands and thousands of vehicular casualties that happen every day all over the world, a tiny fraction just occurred near the Parliament building in London. 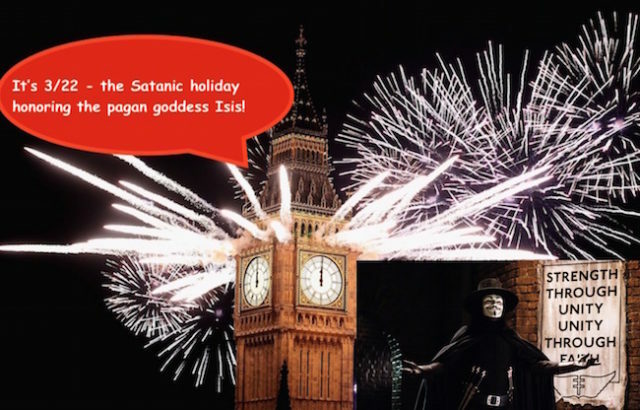 The logical inference: Somebody spent a rather small sum of money to arrange a publicity stunt which did not even make a faint blip on the day’s (much less the year’s) accident statistics — but which reaped hundreds of millions if not billions of dollars worth of virtually free publicity for the perpetrators. 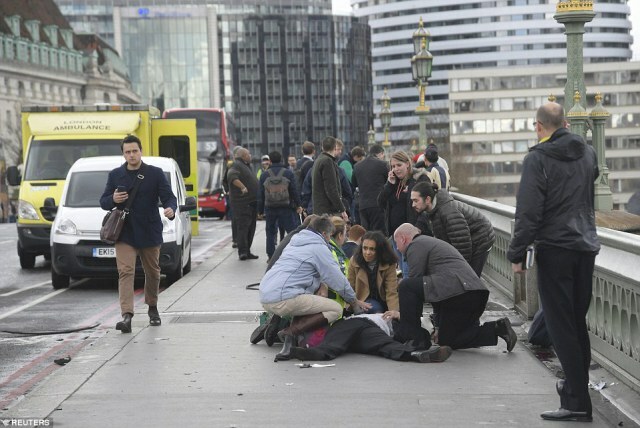 On 22 March 2017, "a terror attacker brought carnage to central London." The attack comes a year to the day after the 22 March 2016 terrorist attack in Brussels. BRUSSELS; MOSSAD CIA FALSE FLAG INSIDE-JOBS; GLADIO. On 19 March 2017, there was a terror drill in London. "Hundreds of armed police in speedboats zoomed down the river Thames today as part of major anti-terrorist drill in London." The drill involved specialist officers clad in black uniforms and toting machine guns, the London Ambulance Service, London Fire Brigade and the RNLI. 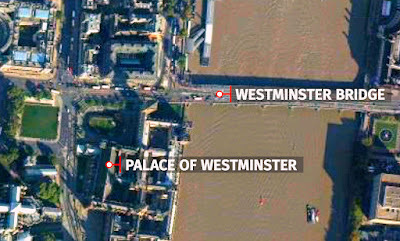 On 22 March 2017, more than 12 people are said to have been hit by a vehicle on Westmister Bridge after a 4x4 drove into pedestrians and cyclists before crashing into the gates of Parliament. Update: it appears that press reports were wrong, because according to the BBC, Trevor Brooks aka Abu Izzadeen is still in prison. Which obviously means that he could not have been the attacker.